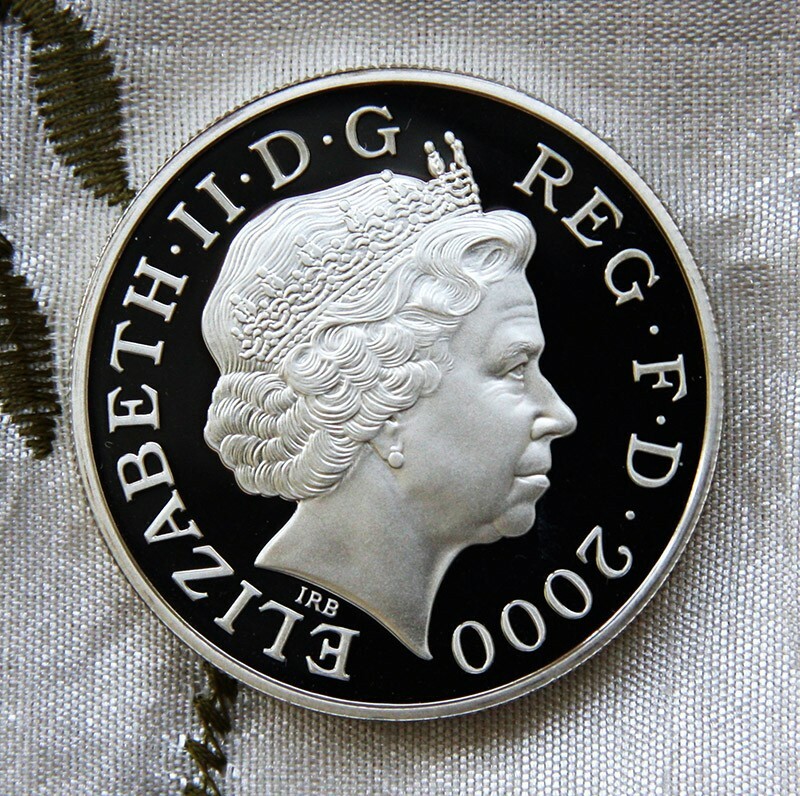 The effigy of H.M. Queen Elizabeth II for all UK & Commonwealth coinage issued by the Royal Mint 1998. The Artist’s initials IRB appear below the portrait. The Artist was influenced by Pistrucci’s portrait of George III issued in 1817, where the head crowds the field of the coin. Size: 38 mm / 1.52"